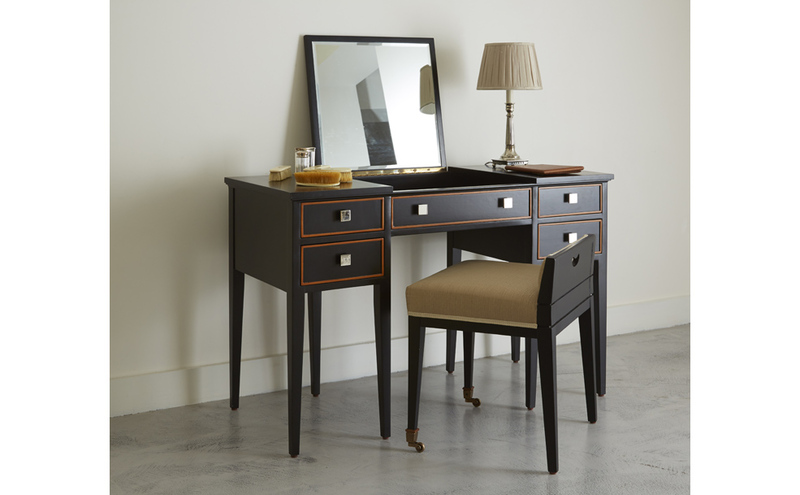 The Torberry dressing table and chair. The Torberry dressing table has fine detailing on the five drawers. The top opens to reveal a mirror. The co-ordinating chair which is sold separately fits neatly under the table and has brass castors on the front legs.